Teresa Brown Ms. Brown earned a Master’s degree in Curriculum and Instruction and her endorsements as a Gifted Specialist and in K-12 English Language Arts. She was the 2012 winner of the Charter School Teacher Leader of the Year Award from the Colorado League of Charter Schools. She is thrilled to be a part of such an remarkable group of educators and life-long learners and views her role as Dean of Student Support as a facilitator and guide in the learning process for both teachers and students. 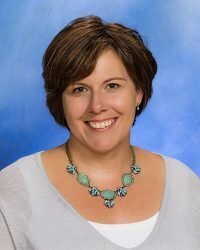 She enjoys coaching teachers in their planning and unit design, integrating gifted best practice, as well as in creative approaches to everyday classroom situations. She is also working to develop the Center for Gifted Resources at AcademyACL, facilitating a parent book study twice a year and Academy ACL’s teacher induction program. She has presented gifted education sessions at state conferences including Colorado Council International Reading Association (CCIRA), Colorado League of Charter Schools, and at Denver Comic Con.